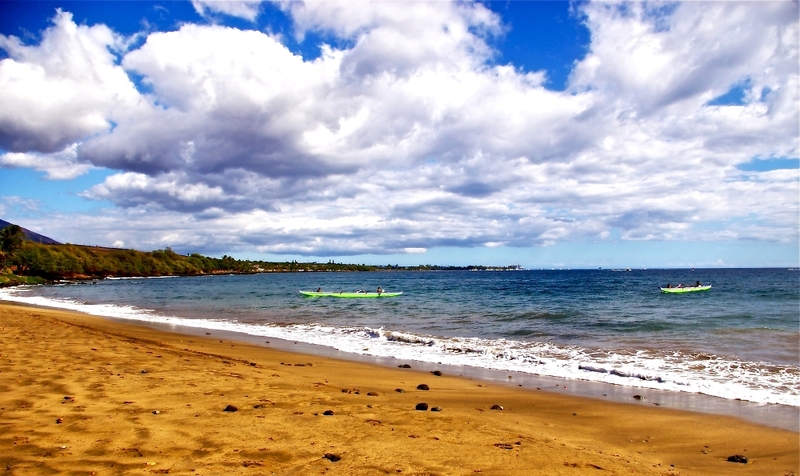 Hanakao’o Beach Park is located on the southern extremity of Kaanapali Beach on Maui, Hawaii. It’s more popular name is "Canoe Beach" because this is the home of the Lahaina Canoe Club and is the site of numerous outrigger canoe regalia competitions throughout the year. That looks a fabulous place, I like the sense of movement captured by the canoes.